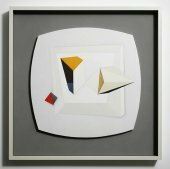 Morag Ballard is a British artist who has evolved her own individual interpretation of the constructivist language of Modernist abstraction. 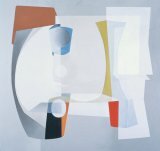 Her images explore shape, form and colour relationships with abstraction as her method of understanding and depicting space. A language of forms derived from the architecture of the modern urban environment was used in more recent paintings depicting fictional, illusory architectural spaces. Ballard had seven solo exhibitions with England & Co since 1991, and was included in group exhibitions curated by the gallery. 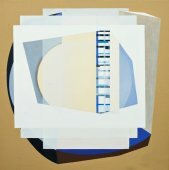 Her works were also featured in St Ives and Beyond at Pallant House Gallery in Chichester. An archive selection of works exhibited at England & Co are reproduced here.